Singapore sent two teams of 14 representatives to take part in the 16th World Kendo Championships which were held in Tokyo from 29th to the 31st of May 2015. 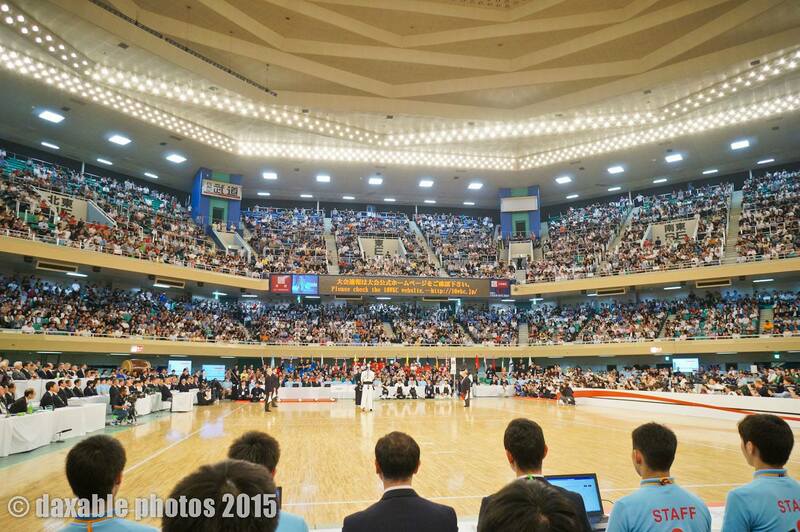 Our Ladies' team came away Top 8 in the world, losing to the dominant Japanese super team. For their efforts, Stella Wong clinched our second ever 'Best Fighting Spirit Award' since 2003. Our Men's team missed the target of Top 8, failing to defeat Mexico, but allowing us a consolation Top 16 in the world. The Team would like to thank everyone who has supported us along the way. First of all, to Coach Ishihara sensei - for providing the long-term plan and carrying it through these past years. To all our assistant coaches, Wada, Okamoto and Imagawa senseis, as well as all the many coaching staff and varied supporters who have helped us in our many trainings, shiai and camps. Damian, Takamori, Peter and Kubo senseis, and Kaji san, Kaori Klismith, Mr & Mrs Funamori, as well as Daphne, Terry, Joyce, Yixin and Yuyuan; we understand the sacrifices you made just to be there, and we are ever so very grateful for it. To Isono, Kimura and Tanaka senseis, thank you for training with the WKC team on Saturdays, and also for your token of support. Thank you to our managers, Inoue sensei, Renata and Eugene. Your organization and care for us allowed us to focus on what we were there to do. We sincerely appreciate the hard work you put in. Special thanks goes out to our "Kendo Mama", Shohtoku san, who has been there since Day One, and has never left our side even when she was sick. We would not be where we are were it not for you. We would like to thank everyone who supported us by buying our WKC merchandise, and also from the many individuals who gifted us with donations in cash and kind. 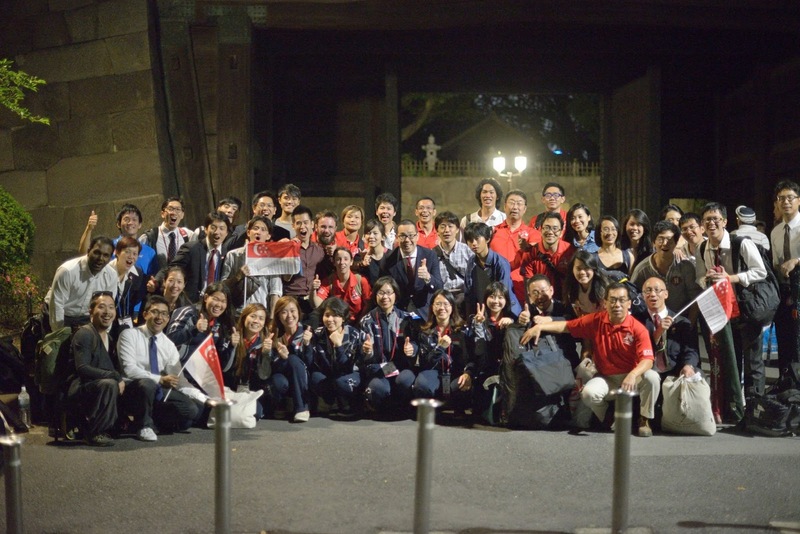 Thank you also, to the Singapore OB/OG who hosted us to a heart-warming dinner, and to everyone who took the time, effort and money to go to the Nippon Budokan and cheer for us there. There are too many of you to name, but your presence uplifted our spirits and made us fight harder. Our thanks also goes out to Keio University, Tokyo Gakugei University, and Shiozawa Company, for hosting us and allowing us to train and shiai with you. The level of Kendo we saw encouraged us to raise our own game. 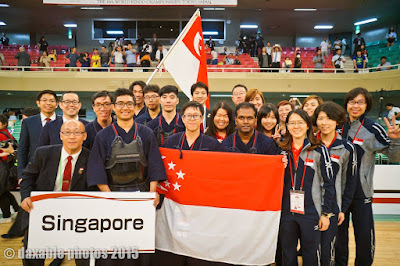 We are committed to improving our Kendo and the level of Kendo in Singapore, and we look forward to your continued support of the next WKC team in three years time in Incheon, Korea.